DB9 Serial RS232 Port Saver prevents damage to the port connectors on equipment that undergo frequent plugging and unplugging of cables and adapters. 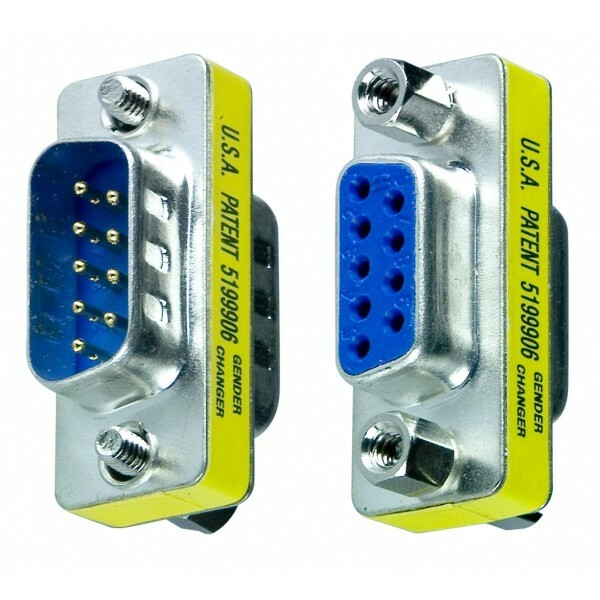 Protect DB9 serial RS232 port connectors that undergo frequent plugging and unplugging from damage. Use as an in-line coupler to connect two DB9 Serial RS232 cables together to form a single longer cable.